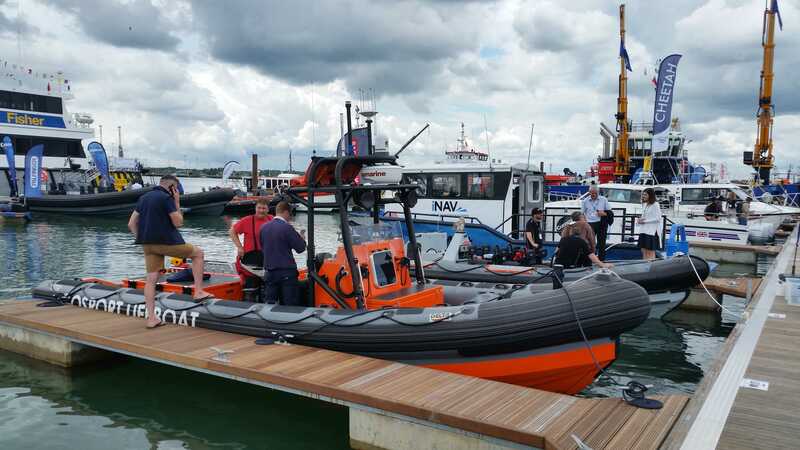 Gosport & Fareham Inshore Rescue Service (GAFIRS) displayed its new Lifeboat at Seawork International this week. The show, in Southampton, is Europe’s largest commercial marine and workboat exhibition. Volunteer crews from GAFIRS took the new Delta lifeboat to the show on Wednesday and Thursday where 7,500 visitors could see the vessel. Vice chairman Steve Ray said: ‘We are delighted with our new lifeboat which we worked very closely with Delta on producing and we were happy to show it off for them at this important show.